My dad goes before the parole board Dec. 2. Thinking about my family and the families of other political prisoners and freedom fighters around the world. Thinking about you especially, Kamel. I am so truly blessed to come from the family I do. The Hearn clan. The Shakur clan. It’s a different way of life in many ways, being children of revolutionaries. Our parents fought, were imprisoned, were exiled and died fighting for basic human equality; and all the while growing us in the discipline and knowledge, love and respect for not only our people, but for all people. We think differently; we see the world differently. I was thinking about the last time I saw Mutulu. It’s a harsh reminder to me when I think about the fact that I’ve never known my dad in any other context outside of prison, even back to my first memory. His every entrance into my life since I can remember has always been the same … coming from behind those steel bars, he stops so the officer can take off the chains. I’ve never seen him for more than four or five hours at a time. You only get so many hours of visitation. I’ve never seen him standing in the sunlight, never seen him standing in grass; I’ve never seen him in anything other than a prison uniform. We’ve never had a phone conversation that wasn’t recorded, written letters that weren’t read before they reached his hands or given hugs that weren’t closely watched. I’ve shared every intimate moment with him, with someone else. He’s never been able to see all of his children together at once, and now that Pac has passed away, he’ll never be able to. Now Mutulu is in Florence, Colorado, the No. 1 maximum security prison in the United States. “Also known as the Admax, Supermax or the Alcatraz of the Rockies, ADX houses the prisoners who are deemed the most dangerous and in need of the tightest control. It is the highest level security federal prison in the United States and generally considered the most secure prison in the world. Individuals are kept for at least 23 hours each day in solitary confinement.” That means he gets one hour, by himself, outside his cell in a heavily guarded area. All of our visits are behind glass and he is often handcuffed. These things come to mind as his parole hearing draws near. They have and continue to do everything they possibly can to keep him in prison. Long and short: After denying him his first parole hearing in 1996 with no just cause – as stated by a court – the parole board ignored the recommendation to give him due process and waited six years to convene. In 2002 the parole board finally convened, denied him parole and stated that they would not allow him to come before the parole board for another 15 years. Because his first parole hearing was legally set for 1996, a 15 year hit would mean he was able to come before the parole board again in 2011, but as the parole board refused to acknowledge the six-year false delay – again, as stated by the court – he will not be able to come before the parole board until 2017. His upcoming parole hearing is a fight for due process and his right to come before the parole board and fight for his freedom in 2011. As “thanksgiving” draws near, I am humbled by those who, like Mutulu, saw their difficult path before them and even still chose to stand and fight, rather than lie down and continue to be enslaved. Freedom fighters all over the world. Many of them will not be able to sit down and have dinner with their families, will not be able to tuck their children in at night, and will not be able to hold the ones they love as they fall asleep. Yet they are fighting for our right to do so. This Thanksgiving, I give thanks for the people who fought and are still fighting for freedom and equality. I give honor to the indigenous people of this country who are still fighting for their basic rights on their own land. I give remembrance to who I am and where I come from: a people whose blood runs deep in the earth of this country. And I pray, so very hard, that we continue to move forward as a global community, in love. My blood? Is a million stories. 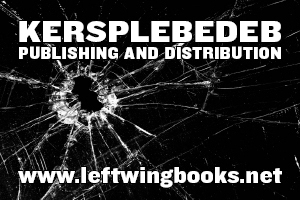 FREE ‘EM ALL. Peace. ← A New Years Message to Revolutionaries Everywhere: Join the Black Panthers!! We Want You!! Dr. Mutulu Shakur is now held at USP Victorville. 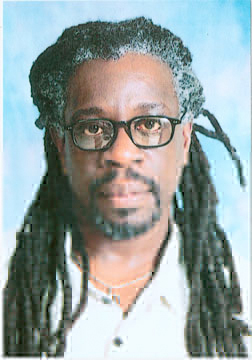 For his current address and more information, see mutulushakur.com.